hello - this looks nice, but I can't get the composition to work!? - I can see waveform and volume peak data going to the 3d transform patch -but no visuals!? Not sure why this isn't working for me. I've got kineme audio plugins, on 10.7.3, three of them show up working in the preview (in my finder) and yet when I launch them, I just get a black screen (and no errors). Is there something obvious I'm missing? @riviera thats interesting you see data but no visuals. do you have your correct UID selected for built-in microphone. if you have an aggregate audio device set up or sound flower you may get some noise data but no the correct data. make sure you have built-in mic set up ? i don't have an aggregate device on my system but sometimes that defaults to the zeoth index in which case you may not get anything. see pic but for my machine right now i have two index structure patches the first one is set to zero selecting built-in mic and second is set to one to select the correct UID ? @gabemott thats very odd your getting visuals inside the preview. 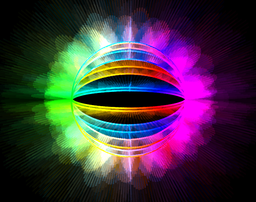 I'm getting some basic shapes in preview but no waveform. see my other post and check to make sure your on the correct audio device or have the correct audio device UID selected. also maybe back off on the line count maybe 256 is to much ? i am rendering 512 lines at 60fps on my machine but that might be a much for yours try 100 lines or 50 maybe ? here do the above and try this patch it is the basic line without feedback i copied into a new file ? 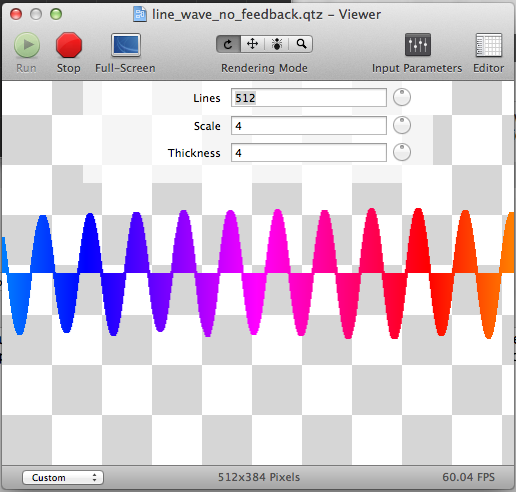 you should be able to whistle into the mic and produce a nice sine wave shape. 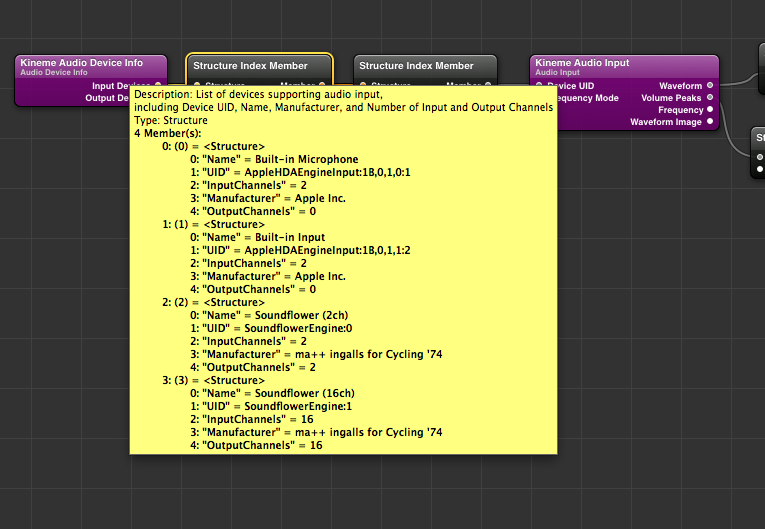 Working in 10.6 I found some peculiar stuff with the audio device selection. In some environments (e.g., embedding the composition in CoGe as a player) the audio UID is ignored and the patch uses whatever the System preferences says it is. In the QC editor, it uses the UID lookup Dust coded in. Could be Preview behaves like CoGe? Anywho...the Kineme Audio Tools may be a bit flaky on this point. BTW, loving these compositions. Lots of flexibility in the look, and very suitable for further processing. OK, had QC set to open in 32 bit mode. Sorry 'bout that and thanks @dust.